As symbols of good luck, wisdom, and strength the elephant is revered all over the world. 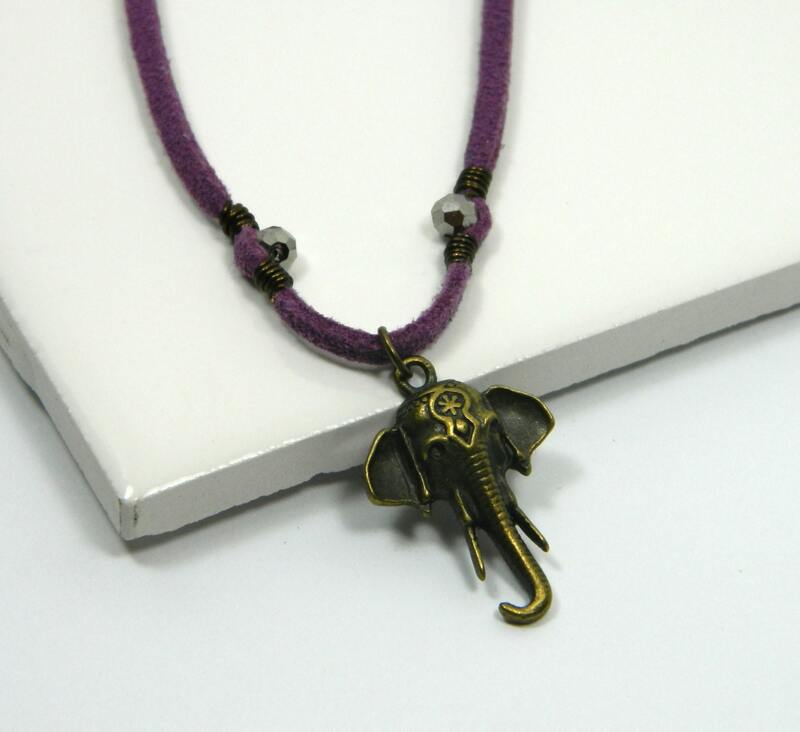 This purple suede elephant necklace is a wonderful good luck charm or just a pop of color for anytime and anywhere. Folksy :: Buy "Sparkly Purple Heart Necklace"
Folksy :: Buy "Purple flower necklace"
Folksy :: Buy "Heather River - Silver and Purple Necklace"